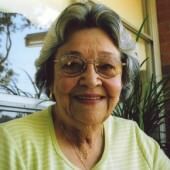 Joan Taylor was born in 1928 and moved to Millers Point in 1945 as a young married woman. 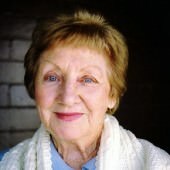 In her interview she recalls her working class youth in inner Sydney; marrying into the Indigenous community; Stolen Generations; courting; entertainment; her husband’s work; her work; local characters, friends and neighbours; hotels; shops; the Japanese submarine raid on Sydney: Anzac Day; the necessity for fitting in in Millers Point; and children’s scrapes. In the excerpt below she recalls the fondly regarded Lance Kindergarten. They all [local children] went to the Lance Kindergarten, that was part of the thing to do. No they used to go down there, both of them [her sons] went down there. We only paid about a couple of bob [two shillings] a week but part of sending them there when it was your turn you had to take home all the linen, such as all the towels and things like that, and you had to wash them and iron them and bring them back on Monday, that was part of the kindergarten. There would be a roster I suppose. I remember the woman in charge would say to you, ‘It is your turn for the laundry.’ So, that’s it. We’d pay probably twenty-five cents, it was about two shillings and six pence a week. You could start between the ages of two and three and you could stay there until you went to school. We used to have concerts and things like that, and the fathers used to do a little bit of fixing things. When Charlie [husband] came out of the Air Force they offered them a rehabilitation type of thing and he took a trade of painting and paper hanging and all that business. And of course that’s what he used to do: if they wanted a bit of painting done at the kindergarten he’d do it, or he’d bring home the little furniture that the kids use and paint them in the back yard and things like that. So they all did a little bit of something.